Each type offers good value for money. Whoever wears our shirt will immediately notice the care taken with the packaging and the high quality fabrics from the best Italian textile industries, which are available in a wide assortment of colours and types of yarn. Our mission in the field of Italian shirts, is to provide our customers with a unique hand-crafted product that reflects and immediately conveys the style and elegance which are “Made in Italy” through the choice of fabrics and the attention to detail. The experience gained in the creation of shirts has allowed us to give authenticity to this “common” theme and revolutionize the concept. Hence for us the shirt is not intended as a simple and common item of clothing, but as something versatile and suitable for various occasions, able to conform perfectly to the man who wears it. The ability to customize the shirts is one of our most defining traits: people choose our shirts because they look for uniqueness and originality. Of course you already know that the shirt has very ancient origins and has always been synonymous with elegance, beauty and the completion of a man’s clothing. These features are still present in our men’s shirts, along with a touch of personality, which our passion has allowed us to integrate. The details, finishes, variety of fabrics and colours make our shirts instantly recognizable. We speak exclusively of Italian men’s shirts. The images we have are a glimpse of what the shirt was in the past. 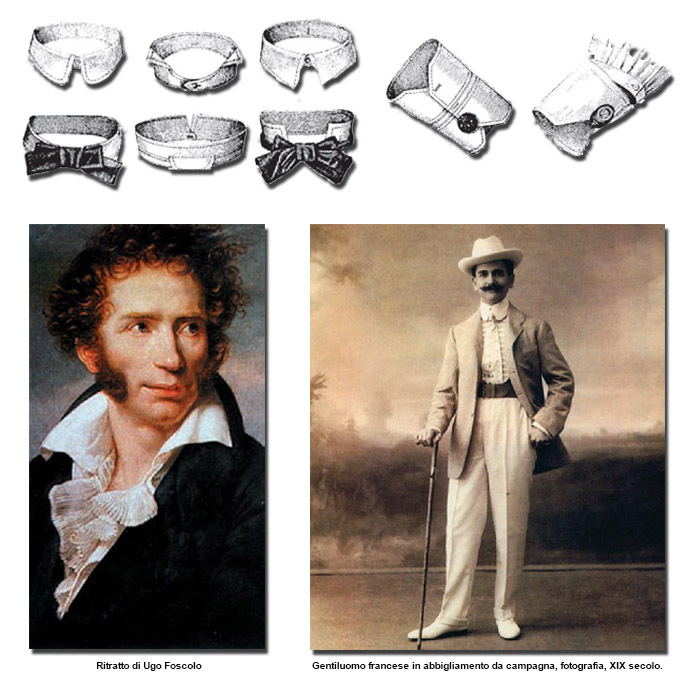 There were different types of collar and cuffs in 1874. Our mission, in the field of Italian Shirts, is to put our customers a unique handcrafted product that reflects and transmits immediately the style and elegance "Made in Italy" through the choice of fabrics and the attention to detail .